MD3183 22 - The award-winning MD3183 22 Inflatable PFD with H.I.T.™ (Hydrostatic Inflator Technology) is Mustang Survival's top-of-the-line inflatable PFD. Designed for serious users with exclusive technology that enhances safety and minimizes maintenance, this is their most popular inflatable PFD. 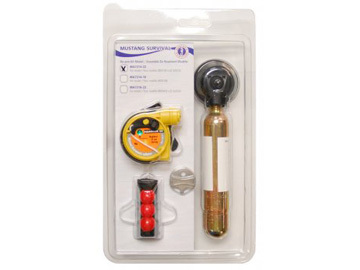 MA7214 22 - This Automatic Hydrostatic Re-Arm Kit contains everything necessary to re-arm your Mustang Survival MD3183 22 United States Coast Guard automatic hydrostatic inflatable PFD after deployment. The hydrostatic inflator cap and body should be replaced before the date on the cap. 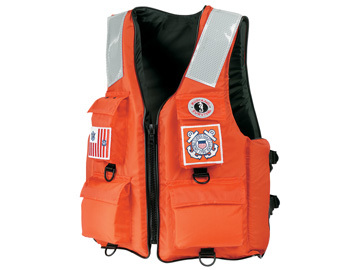 MD0450 22 - Designed for the US Coast Guard, this inflatable SAR vest combines Mustang Survival's revolutionary LIFT™ inflatable technology and enhanced SAR equipment vest design, the boat operator is provided with combined flotation and equipment carrying capability in one comfortable product. 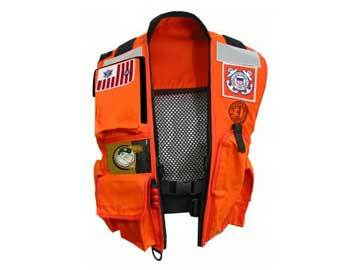 MA7218 22 - This HIT™ Re-Arm Kit contains everything necessary to re-arm your Mustang Survival MD0450 22 United States Coast Guard automatic hydrostatic inflatable SAR vest after deployment. 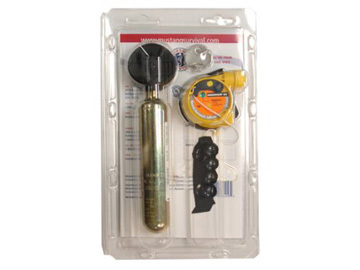 The hydrostatic inflator cap and body should be replaced before the date on the cap. 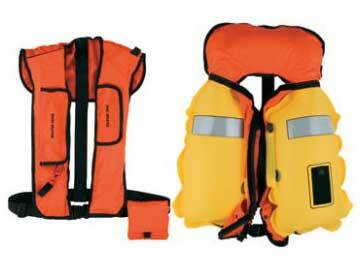 MD1127 22 - The MD1127 22 Twin Chamber Inflatable is a constant wear PFD that provides flotation protection for aircrew flying over water in the event of emergency landings. Featureing an inflatable cell that is comprised of two independent chambers, separated by a fully integrated floating baffle system. 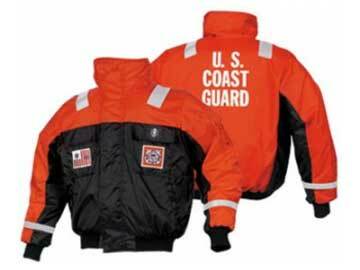 MJ6214 22 - Designed to deliver comfort, warmth, and durability during marine operations, the MJ6214 22 Classic Flotation Bomber Jacket's closed-cell foam insulation will provide flotation and in-water insulation to delay the onset of hypothermia in the event of water immersion. 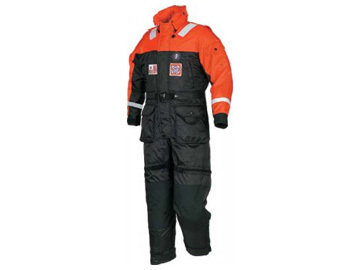 MS2175 22 - Completely insulated with Mustang Airsoft™ foam to deliver an immersed Clo value of 0.420, the MS2175 22 deluxe anti-exposure work suit delivers significantly more hypothermia protection than just a jacket and pant. 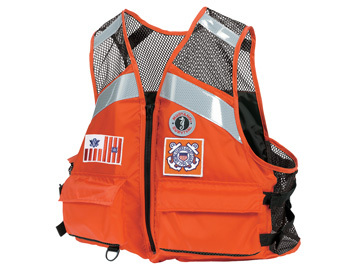 MV1254 22 - Boat Crew Mesh Vest includes USCG markings and offers maximum visibility, mobility, cooling and comfort with features such as large arm holes, mesh shoulders, and 32 square inches of SOLAS reflective tape across the front and back. 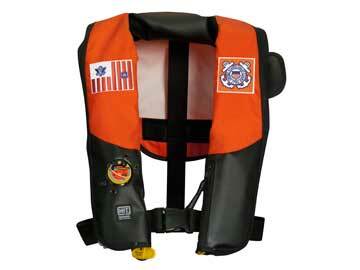 MV3128 22 - 4 Pocket Flotation Vest is a functional PFD with large arm holes for mobility and Tug-Tite® adjustments for an almost custom fit. Four large Velcro™ secured front pockets conveniently store tools and two D-rings can be used for lanyard attachments.